On Ash Wednesday we made our Lenten Promise. I promise to smile to everyone for 40 days and 40 nights. I promise to do what I am told for 40 days and 40 nights. 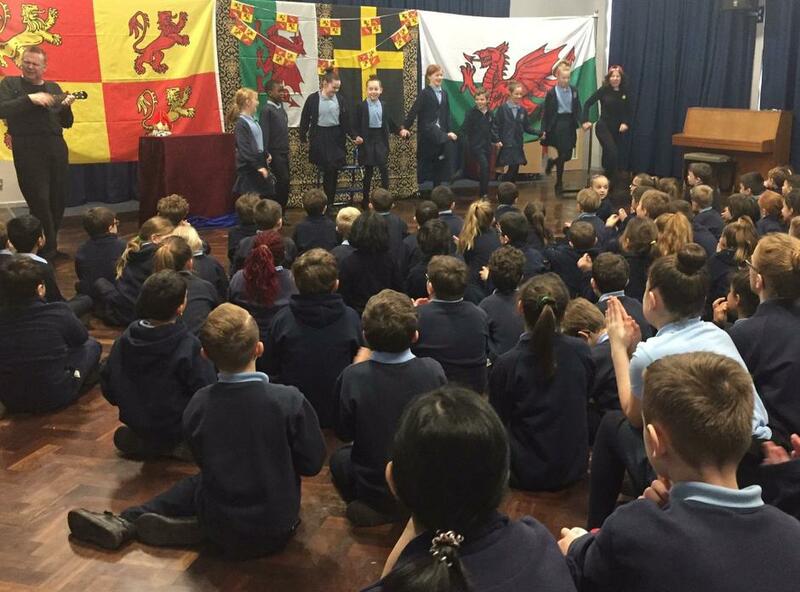 On Monday 28th January our class with the rest of KS2 watched Pandemonium perform three tales of Wales. 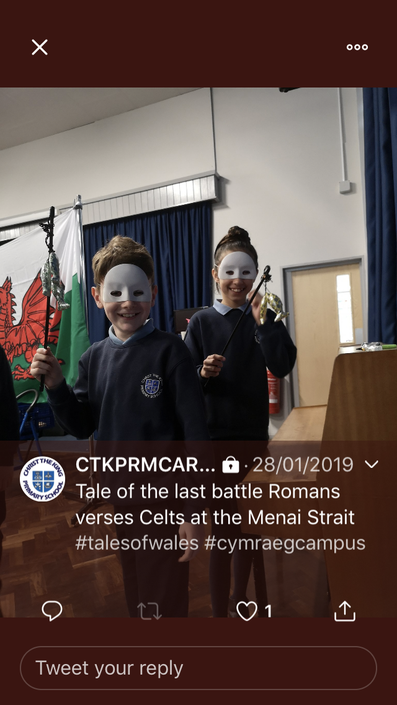 Our favourite was the tale about a battle between the Romans and Celts. The Celts won!. The Romans travelled very far and very wide, they were very tired, their swords were rusty and their tunics were covered in mud. The tunics smelled like poo! Their feet were covered in mud and stinky. They were hungry and thirsty. After a long time they found the Celts and killed lots of them. Suddenly a note came from the Romans in the East to say that the Celtic Queen had killed all the Romans in. battle. The Romans went to find the Celtic Queen. 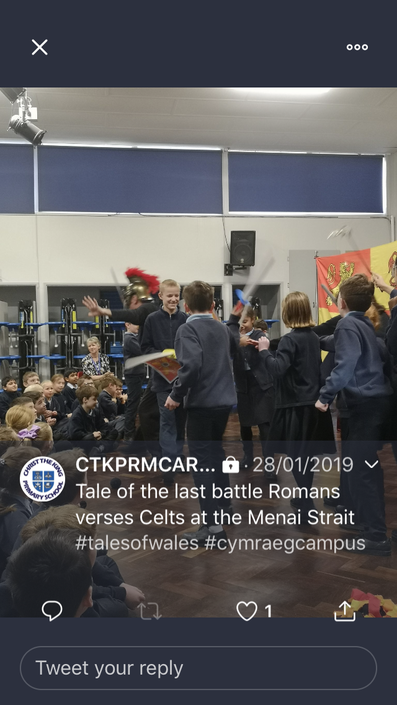 They had a huge battle - the Romans thought they had won, they thought they had killed the Queen, but some of the Celts had escaped without the Romans knowing. The Celts came back and in the end they won!! 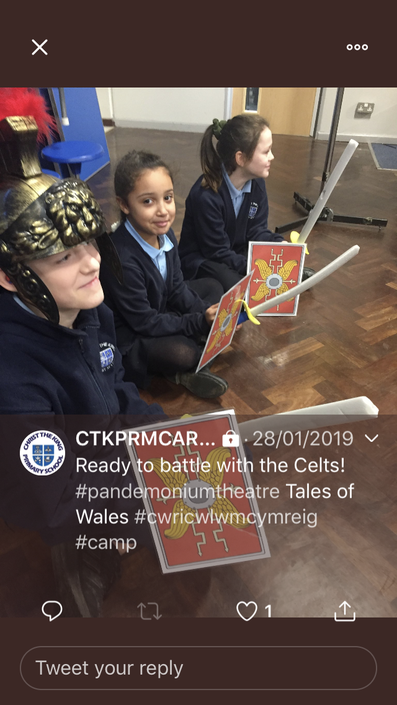 On Monday the 28th January Pandemonium came to our school. They did a show called Tales of Wales. It was so much fun. In the first story they were in Aberdeifi and there was a big wall with a gate. The gate was opened and closed and opened and closed and it was so funny. We went on stage. There was a party and the prince was meant to close the gate but he couldn't close it because it was stuck. Then the Tsunami came in and flooded the the town. The song in between the stories was 'Tales of Wales' and we sang it and it felt good. It was and amazing show and we want them to come back again.